Tax cuts! T-shirts! Cannabis to your door! 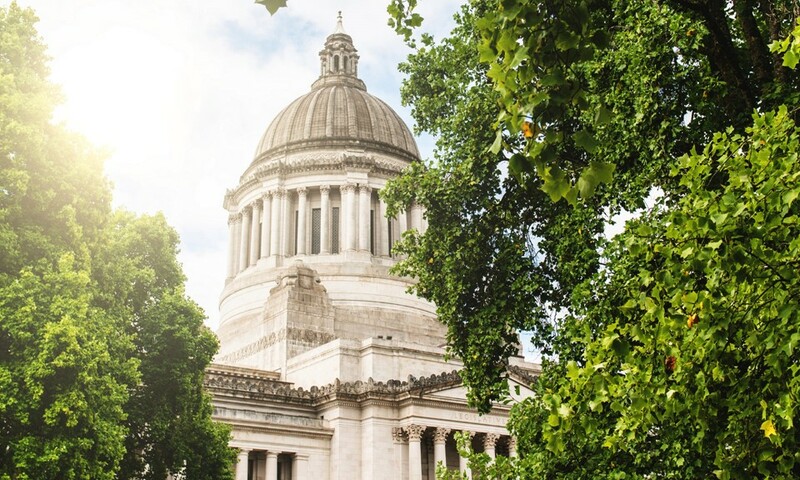 These are a few of the changes Washington state lawmakers are hoping to make this year in their latest batch of cannabis bills. Legislators have a lot on their plate for the short 60-day session that began earlier this month. The menu includes big changes to key parts of the state’s cannabis laws. Proposals so far this year include plans to streamline research processes, open investment to out-of-state financiers and protect industry information from public eyes. Missing from the agenda are hot-button issues such as homegrown cannabis — currently only legal for medical patients — and public consumption. Here’s a rundown of the bills in play so far. Have something to say? Leave a comment or contact your legislators. At 37 percent, the state’s current excise tax on cannabis is higher than most consumers would like. That money — for education, parks and so on — has been a boon to the state, but some worry it keeps prices so steep that cost-conscious buyers still opt for the black market. HB 2347, sponsored by Rep. Chris Hurst, D-Enumclaw, would lower the excise tax to 25 percent. How that would affect overall revenue is a matter of speculation. Under the existing tax scheme, the state expects to generate $154.6 million in taxes this fiscal year, up from $67.5 million last year. A tax rate reduction could shrink that number, but the hope is that those losses could be recouped through sales moving from the black market into legal stores. Sponsors: Reps. Hurst; Chris Reykdal, D-Tumwater; Sherry Appleton, D-Poulsbo; Steve Kirby, D-Tacoma; and Cary Condotta, R-East Wenatchee. Delivery services exist in the state, but so far they’ve been flying under the radar — and some in Seattle, notably City Attorney Pete Holmes, are sick of it. HB 2368 would create a pilot program to allow “up to five qualified licensed marijuana retailers to deliver marijuana to Washington residents in a city of over 650,000.” In other words, just Seattle. City leaders say delivery businesses are undercutting licensed stores, pulling consumers away from the regulated market and robbing the state of tax dollars. Seattle City Councilwoman Lorena Gonzalez recently pushed to close illegal delivery businesses, and Holmes has called them “felony operations.” (The city announced a crackdown on delivery services this week.) Holmes teamed up with Mayor Ed Murray’s policy advisor David Mendoza and Rep. Hurst to write the bill, which sets rules and tracking requirements. It won bipartisan support when Rep. Cary Condotta, R-East Wenatchee, signed on as a sponsor. If adopted, the pilot program would expire July 2019. Sponsors: Reps. Hurst and Condotta. Cannabis with more than 0.3 percent THC is defined by law as “marijuana.” Anything less potent is “hemp.” The Washington State Liquor and Cannabis Board (LCB) regulates marijuana, but no agency has yet been tasked to oversee industrial hemp. SB 6206 would change that. Sponsored by Sen. Bob Hasegawa, D-Seattle, the bill classifies hemp as an agricultural product “that may be grown, produced, possessed, and commercially traded in the state” and directs the state Department of Agriculture to regulate the industry. Sponsors: Sens. Hasegawa; Dean Takko, D-Longview; Maralyn Chase, D-Shoreline; Mark Schoesler, R-Ritzville; and Tim Sheldon, D-Potlach. Sponsors: Reps. Sharon Wylie, D-Vancouver; Hurst; Joe Fitzgibbon, D-Burien; Sam Hunt, D-Olympia; Joan McBride, D-Kirkland; Kirby; Condotta; Jim Moeller, D-Vancouver; and Vincent Buys, R-Lynden. The LCB is already considering an administrative rule change that would allow out-of-state investors into the Washington cannabis market. Rep. Sharon Wylie, D-Vancouver, has introduced a statutory change to do the same thing. The bill, HR 2364, would lift a requirement that all “partners, members, or shareholders” of a business be Washington residents. It would also allow cannabis businesses to be structured as limited liability corporations, or LLCs. Sponsors: Reps. Wylie; Fitzgibbon; S. Hunt; Moeller; Brandon Vick, R-Vancouver; and Buys. SB 6207 would broaden the type of information that’s exempt from public disclosure laws. Specifically, it would shield information that business owners submit to the LCB regarding business licensing and the tracking of cannabis. Proponents have voiced concerns that making such information public risks giving sensitive information to competitors. Sponsors: Sens. Ann Rivers, R-La Center, and Marko Liias, D-Lynwood. SB 6177, sponsored by Sen. Rivers, intends to streamline the state research application process surrounding cannabis. The bill would remove the Life Sciences Discovery Fund from the existing Marijuana Research License application process and replace it with a “scientific reviewer” designated by the LCB. As written, reviewers may include “educational institutions, research institutions, peer review groups, or such other science or research-based organizations that are capable of determining the research value of a marijuana research license applicant.” The change puts research licensing squarely in the LCB’s hands and could open the tap to more cannabis-related studies.